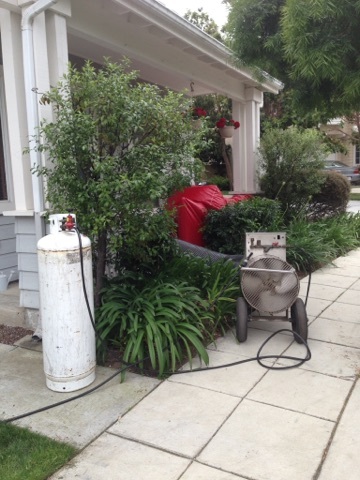 Fumigation is the most common method of drywood termite extermination. There is no comparable whole house treatment method that replaces the 100% efficacy of fumigation according to the Structural Pest Control Board of California. If a fumigation for drywood termites is recommended for your home, occupants must move out of the structure for a period of 2 nights / 3 days. 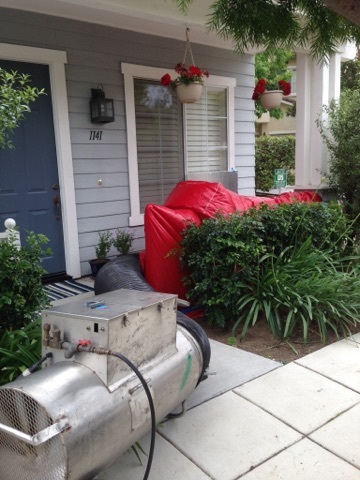 Fumigation begins after the home or structure is fully sealed and tented. Vikane gas fumigant is then introduced into the structure for a period of about 24-48 hours. Vikane is the best fumigant to eliminate termites because of its ability to penetrate all wood in the structure. 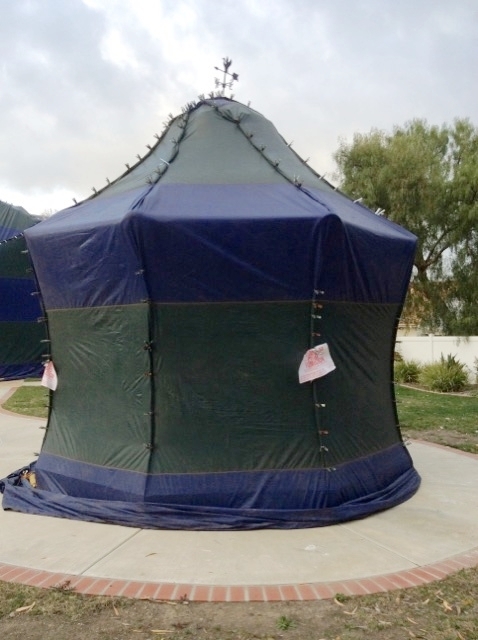 Once the fumigation is complete, the tent will be removed and allow fresh air to flow through. The fumigation licensee will inspect the building with a gas meter to ensure it is safe for the occupants to return. A notice will be posted on the door and you will be allowed to re-enter. Heat treatments are chemical free and a great method for inaccessible areas that local treatments cannot reach. There is no requirement to move out for days with this treatment. It is ideal for escrow certifications, multi-unit properties, and individuals that desire a chemical free alternative. Trained service technicians use specially designed heaters. Heated air flows through ducts to designated areas and is confined by thermal drapes. Inside temperatures are monitored by a state of the art digital thermometer and internal temperature probes to insure that wood core temperatures are maintained at levels that are lethal to wood destroying insects. Once a complete inspection has been performed, our state licensed inspector may determine that your Drywood Termite problem will not require a full fumigation or heat treatment. In these cases, we may offer a localized wood injection treatment. This is a perfect option for home and business owners who may have had fumigation or heat treatment within the past five years. Local treatments are also great for commercial buildings and apartment complexes, where moving multiple residents may not be feasible. For large infestations of Subterranean Termites Major League Pest will apply a continuous barrier around the entire perimeter of the structure. This may be necessary for a completion eradication of subterranean infestations. The product we use to eliminate these termites also is a preventative product, providing complete protection around your home. Localized treatments are very commonly recommended for Subterranean Termites. Major League Pest will apply a continuous barrier in the areas that are identified as infested. Localized eradication works well in limited areas or for small infestations.